Cats generally are content to do whatever they are doing at the time, whether that is stalking, eating, or simply sitting and going to sleep. They do not feel guilty that they are not doing something else instead. This is the frame of mind in which the witch should enter the circle; for if he or she feels the sort of conflict that cats do not feel, part of the witch’s spirit will be continually moving across the circle to someplace else, and this will disrupt and weaken it. It is because cats feel content to be where they are and to do what they are doing in the moment that they can cross the boundary of a circle (as can small children) without disrupting it. In order to have the mood of a cat in circle, the witch must cultivate that mood at different times outside the circle. This is one important reason why cats were often kept as familiars of witches, and cats appear to know that they have something to teach us, and look after us strange, uncomfortable animals. 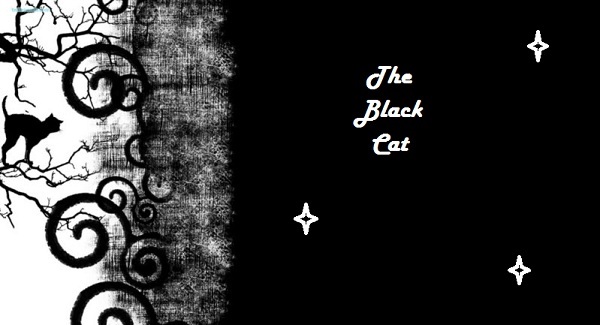 A witch keeping a cat as a familiar would shapeshift into a cat at times, when going on nocturnal journeys or traveling to the True Sabbat in the Summerland. Some witches kept hares or horses as familiars, and some kept dogs, of course; but we hear of cats fulfilling this office quite often. The witches’ rune found by medieval troubadours which begins “Bagahi laca bacahé” is of unknown meaning, but parts of it suggest meanings, especially the last stanza, which runs “Lagozatha cabyolas, samahac et famyolas, Harrahya!” It seems fairly certain that cabyolas means cabaler, that is, covener. Samahac is opaque; perhaps it means ‘guest.’ Famyolas, however, is almost certainly famulus or familiar. Harrahya is our hurray or hurrah, but at the time of this chant it may have retained its original Mongolian meaning of ‘gathering.’ For when shamans and their tribe wish to raise personal power or ‘windhorse’ (hiimori), they will extend their arms forward, palms up, and make clockwise circles with them while chanting ‘hurrahya.’ In so doing they raise power together, gathering it from the other world. It is conceivable that the khan’s armies performed this rite also before battle, and their European enemies may have adopted the practice as a taunt or perhaps a morale-booster. This is all pure speculation, naturally, but it is perhaps suggestive of something witches can do together. Witches often meditate when first entering a circle, and if they are in the regular habit of doing so, it will help them to get into a cat’s mood for the circle rite. Witchcraft does not prescribe specific methods of meditation, but recommends witches do it or some form of preparation ‘after their ways.’ Just sitting for a short period of time, say fifteen minutes, in the early morning or late at night (or any time when one is unlikely to be interrupted) can slow down the nerves and allow one to feel content to do just this one thing. Once in circle, one should not feel rushed or think about what one will be doing later. Catholics have a joke among themselves about the last words of their Mass: “The Mass is ended; thanks be to God.” The joke is obvious without having to be explained, but if many Catholics feel that way about their greatest sacrament it is unfortunate, for being in a hurry to get something over with is definitely counterproductive to magic or piety. After the cone of power has been raised and energy grounded, witches sit quietly and pass around water or wine or ale, and bread or cake. This part of the rite helps to quiet the general mood, and to encourage a feeling of fellowship and leisure among the coveners. Remember that ‘Sabbat’ means ‘rest,’ and ‘Esbat’ means ‘frolic.’ Neither rite is supposed to feel like work. So leave your work ethic outside. Omens and superstitions have been around for hundreds of years, maybe longer. The more the tale is exaggerated the more we tend to enjoy it. My Grandmother was the Queen of old wives tales. She put so much emphasis in what she said that I have never forgotten any of her stories or superstitions. I now tell my own Grandchildren. I believe without Superstition our lives would be dull and unimaginative. I hope that you enjoy what you read here and remember, just because it’s a Superstition doesn’t mean it won’t take form in Your life. *A cat sitting with its back to the Fire is an Omen that the weather will soon change. *Hearing a cat Cry before leaving on a journey is Bad Luck. *It is Good Luck if someone gives you a Black cat. *A cat jumping over a Dead Body will cause the body to become a Vampire. *If a Cat Follows you, you will soon come Into Money. *If a Cat Sneezes it Is Lucky. *When a Cat Washes it Face Visitor’s will soon Arrive. *Stroke a Cat’s tail Nine times for Luck at Playing cards. *To Protect a home place a Statue of a Cat on the roof. *There is a rule that must Always be followed~ Never Move a Broom from one Home to Another. Negativity will come with it. *To Purify the home you move from Swing your Broom around your Head Three times in Each Room. *For unwanted Guests place a Broom behind the Door with the Bristles facing Upward. If the Visitors still Refuse to Leave Stick a Fork into the bristles. *If a Broom drops across a Doorway, soon you will Embark on a Journey. You Must pick it up Quickly and Do Not step Over it. *When the Rain continues on, create images of Brooms and paste them to Your doors And fences to Bring Clear Weather and Sunshine. *If you shall Fall from your Hands while you Sweep, make a Wish Before picking it up. *If the Desire for Marriage is your Longing, Jump over a Broom nine Times and within a Year, Your Wish will come True. *To Bring Rain go Outdoors and Swing a Broom in the Air over your Head. *If it is your Wish to use Your Broom as a Lightening rod. 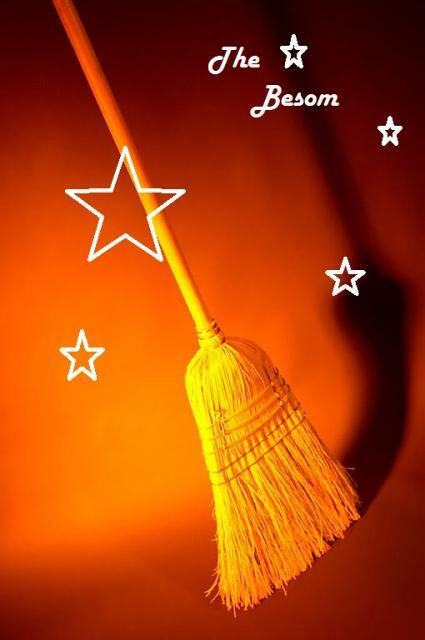 Put your Broom on the porch, it has been Said that Lightening and Electricity are Attracted to Brooms. *Laying a Broom across a Doorway allows Departed friends and Family to Communicate freely with you. *If you Feel that Unfriendly Spirits are haunting you, Step over a Broomstick and it will prevent Them from Disturbing you for Ever more. *When Nightmares keep you from Sleep, hang a Broom from your Bed Room door and place Garlic beneath your Pillow. *Always sweep in the direction of the Fireplace if you Do Not have one sweep Anywhere, but toward the Front door so you do not your Homes’ Good Luck away. *Eyelashes of the Right eye curl Down ~ A Good Omen for men; Bad Omen for Women. *Beware of the One whose Eyebrows meet, because in the Heart there Lies Deceit. 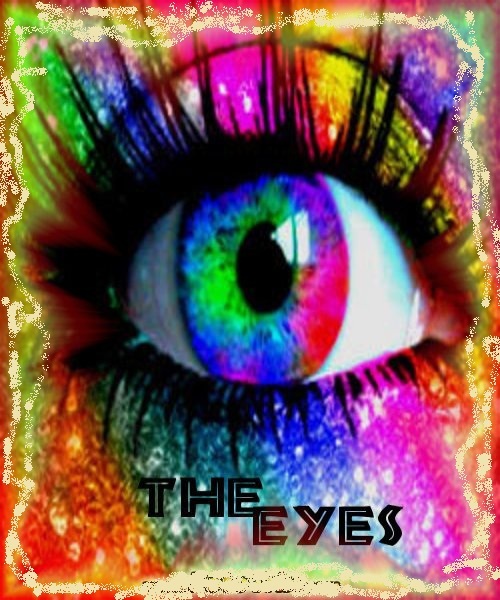 *Eye- shaped Charms are worn often to Ensure good Health, courage And Wisdom. ~ Superstitions are Upheld by people whose Lives are different from those Who Fear the unknown. The Energy of these Forces are used To control and Perform actions to Protect oneself. The negativity that awaits in Every corner is a Risk that the Beholder is Not willing to Take. Perform the Ritual and Believe. It Will happen or Not. good. 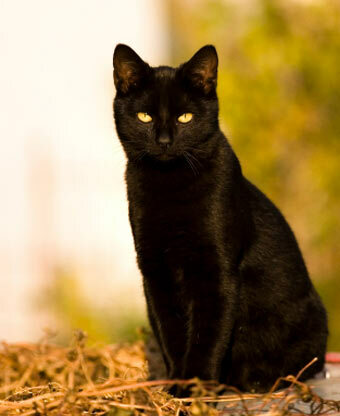 Aside from that black cats especially are thought to bring about bad luck and ill news. people of Ancient Egypt worshiped a goddess whose duties included protecting cats. and many other cities that also worship Bast but the most holy and revered place is Bubastis. of perfume and eventually as the wife of Anubis, as he was known as the god of embalming. the charges to whom she gives protection are.